Swirlydoos' Spring Grunge Kit and Add-Ons are packed full of gorgeous colors, elegant embellishments (with a bit of fun thrown in!) and, as always, an original sketch created by Swirlydoos Design Team Coordinator Kim Heard. 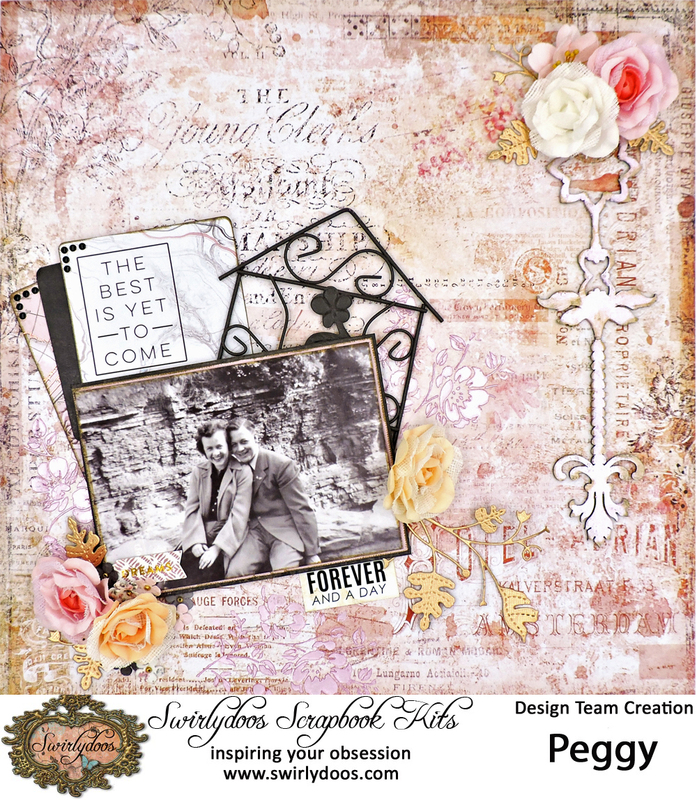 I started with the Chance sheet from Blue Fern Studios' Happy Accident collection and this wonderful photo of my parents from 1941. To create a bit of interest in the background, I rubbed the Viva Decor Inka Gold from the Mediums Add-On though one of the Tim Holtz Mini Stencils that came in the Project Kit. 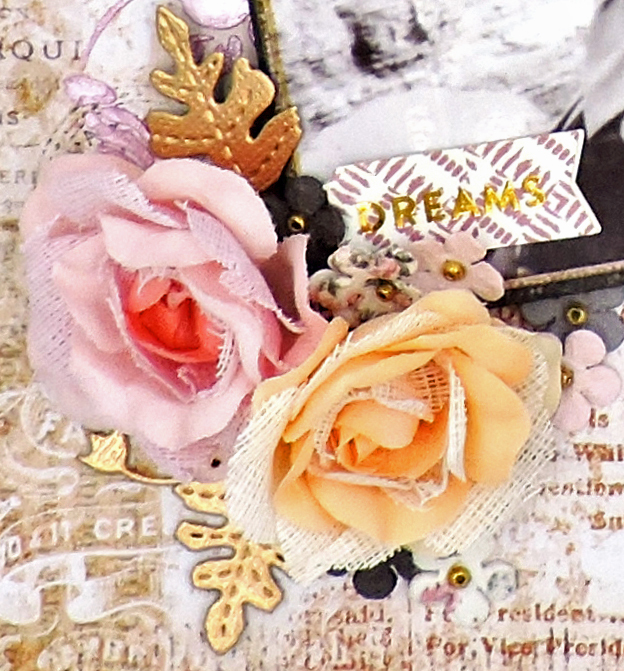 I chose to back my image with a journaling card from the Embellishment Add-On and the Darice gate that was included in the Main Kit. 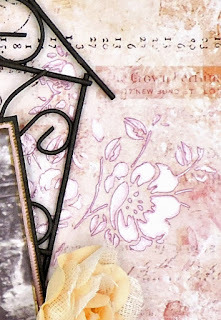 The Blue Fern Studios chippie (also from the Embellishment Add-On) was treated with the Inka Gold and then slightly inked to give it an aged look. 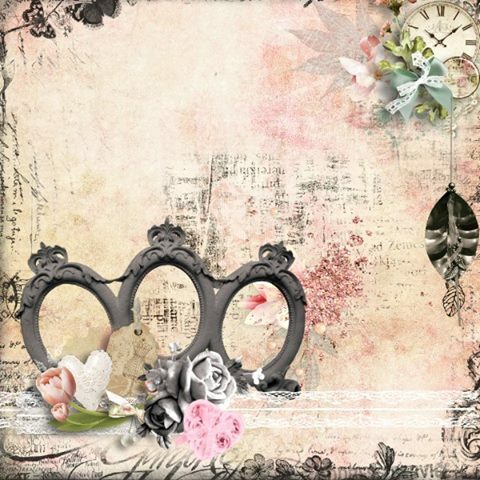 I finished it all with blooms from the Flower Add-On and some vines cut with the Die of the Month (Monterey Vine by Poppystamps) that I treated with the Liquid Leaf from the Mediums Add-On. Darice - Rustic Accents -Rustic Metal Fairy Garden Fence Section - 4" x 5"